The wonderful knowledge of the LORD envelops the believer and leads in the way everlasting. In part 8 of Psalms: The LORD Is My Shepherd, Pastor Dan Cox reads from Psalm 139. Blessed are those who walk in the law of the LORD. In part 7 of Psalms: The LORD Is My Shepherd, Pastor Dan Cox reads from Psalm 119. Final judgment and the hope of eternal glory bring perspective to the heart of the frustrated and questioning believer. In part 6 of Psalms: The LORD Is My Shepherd, Pastor Dan Cox reads from Psalm 73. The LORD is merciful and forgiving, cleansing the repentant sinner and renewing a right spirit. In part 5 of Psalms: The LORD Is My Shepherd, Pastor Dan Cox reads from Psalm 51. The LORD is good, and blessed is the person who takes refuge in Him. In part 4 of Psalms: The LORD Is My Shepherd, Pastor Dan Cox reads from Psalm 34. The LORD is the shepherd who provides, refreshes, guides, protects and blesses the believer forever. In part 3 of Psalms: The LORD Is My Shepherd, Pastor Dan Cox reads from Psalm 23. Although the path of faith may lead through anguish, the one who trusts in the LORD will be delivered. 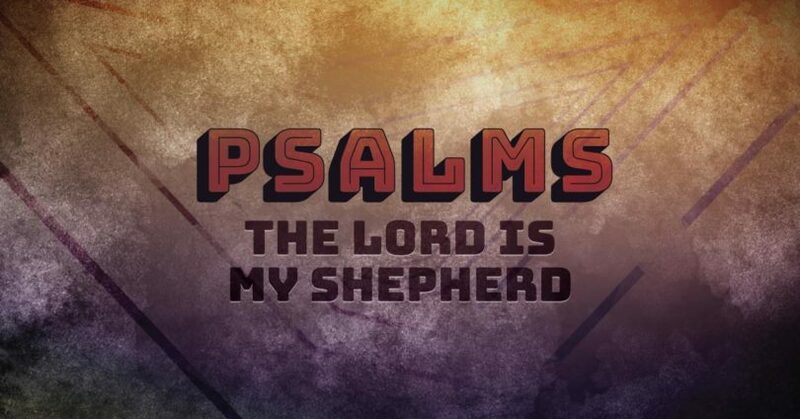 In part 2 of Psalms: The LORD Is My Shepherd, Pastor Dan Cox reads from Psalm 22. The righteous will prosper, but the wicked will perish. In part 1 of Psalms: The LORD Is My Shepherd, Pastor Dan Cox reads from Psalm 1.